Housed in a double jewelcase. Comes with English foldout insert, Japanese/English picture/lyric insert & obi-strip. 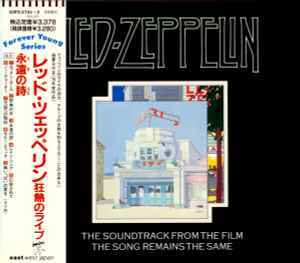 This is a repress of The Soundtrack From The Film The Song Remains The Same with the same catalog number, made by East West Japan Inc.